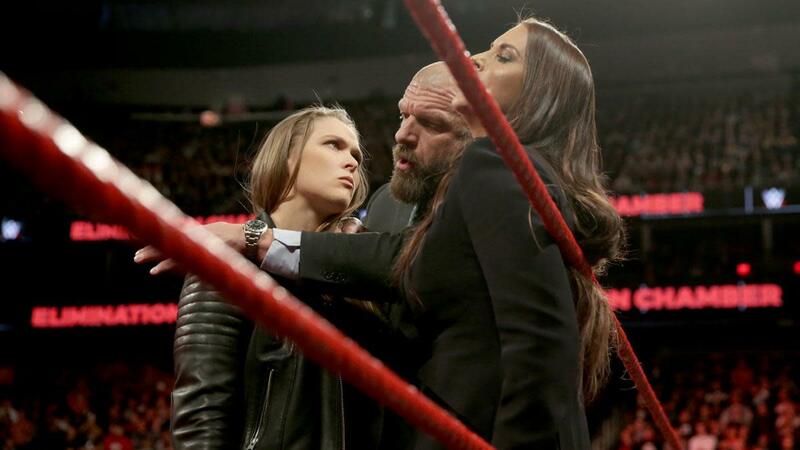 WOR: Elimination Chamber, Ronda Rousey, Roman Reigns, Raw, tons more! Wrestling Observer Radio with Bryan Alvarez and Dave Meltzer is back with tons to talk about including a full review of the Elimination Chamber PPV, all the matches and angles, Ronda Rousey, Roman Reigns, Braun Strowman, the build to WrestleMania, Honor Rising, New Japan Cup and Long Beach lineups, UFC ratings, mailbag and more! A fun show as always so check it out~! We kick right off with coverage of yesterday’s Elimination Chamber, running down the card which featured two Elimination Chamber matches with WrestleMania implications. Ronda Rousey’s contract signing also went down, which ended how most contract signings usually go in WWE. Dave and Bryan discuss each match and segment in detail. A brief rundown of Raw follows, then more discussion about the Honor Rising shows that took place over the weekend. Dave also talks about the brackets for the upcoming New Japan Cup that will take place next month as well as matches announced for Strong Style Evolved. Some ratings talk about the UFC on FOX show follows, then mailbag questions. Questions included age demographics in Japan, what could be the top match for All In, PPV overruns, combining all the titles, Olympians who have medaled that have been in the WWE, Johnny Gargano being called up and more. Feb 27 Figure Four Daily with Todd Martin: Tons of topics, WWE Network, Elimination Chamber, Raw, WrestleMania, Punk in Chicago, Ronda Rousey, Cris Cyborg, best movies of 2013, tons more!